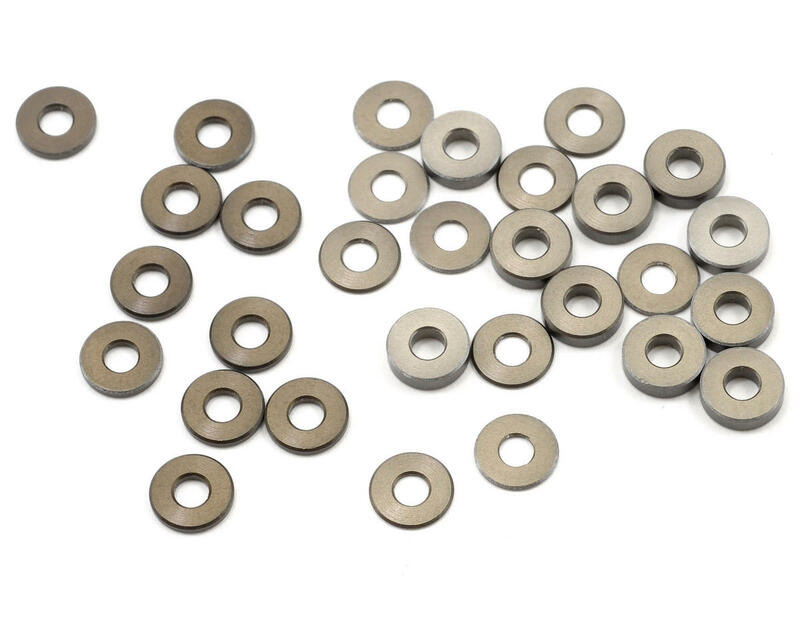 This is a Team Losi Racing Aluminum Ball Stud & Hub Spacer Set, intended for use with the Team Losi Racing 22 1/10 buggy. Replace all the stock plastic spacers with these! Good product and worth the money. Will help with the added weight to the car. Bought this at my local hobby shop (sorry, A-main!). 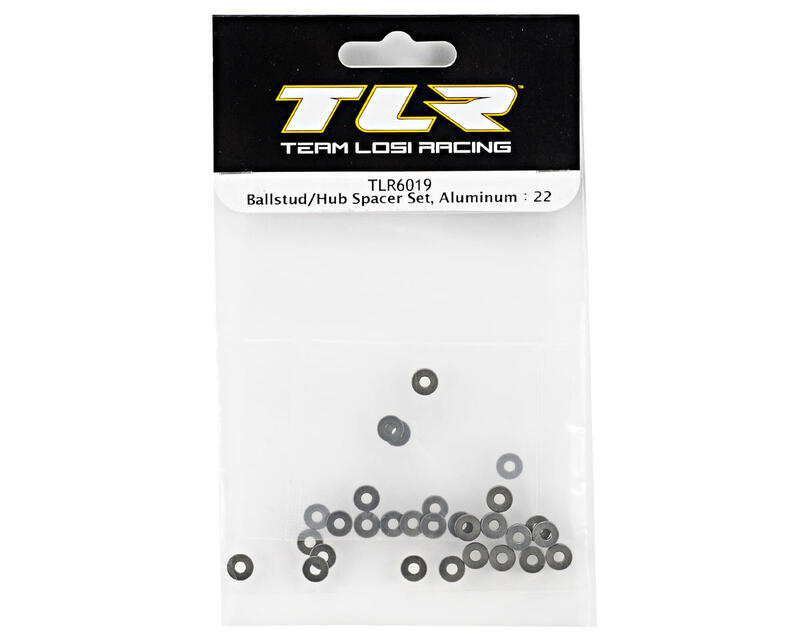 I highly recommend this upgrade if you are running the TLR aluminum hubs or spindles. At least, when my steel ball studs broke off, they left enough nub for me to grab it with pliers. Seriously, these do tighten up the car and allow for more stability. Takes any play out of the front end for sure. These are a great quality, worthwhile purchase. Shame they weren't standard parts in the kit.